Forexindicators does not recommend MultiBank Group. To see our recommended brokers click here. “Simply the Best” is actually the main slogan of the official MultiBank Group site, and given the sort of operation that MultiBank Group really is, one can hardly blame them for sounding a little overly confident there. The brokerage is one of the biggest providers of financial derivatives in the world, and it maintains a physical presence in no fewer than 12 cities worldwide. The services it offers are currently consumed by more than 280,000 people in 90 countries. Its regulatory profile is spot-on and it offers some of the best trader fund security features, with segregated accounts. The legal status and the popularity of the brokerage is not why you should consider it as your top trading destination though. There’s way more to this operation than meets the eye at first glance. MultiBank Group feature a massive selection of trading platforms, which come with a diverse range of trading conditions. On some, the spreads are almost none existent, while commissions are charged. Others feature larger – yet still attractive spreads – while forgoing commissions completely. The Trading platform selection is based on the tried-and-trusted MT4, which delivers an unparalleled suite of trading tools. The charting capabilities of MT4 are second to none. The default package – which can be grabbed for free, directly from the MultiBank Group website – comes with more than 50 preinstalled technical indicators, but users are always free to add more. The platform makes it possible for traders to create and use their own technical indicators and EAs (Expert Advisors). The EA feature is quite possibly the most popular one of the platform, largely responsible for its success and popularity. Through these auto traders, traders can automate their profitable strategies, taking a massive burden off their shoulders, and freeing themselves up to accomplish other goals, while their system keeps working for them. EAs always call for a proper VPS service, without which they cannot fulfill their true potential. A VPS makes it possible for traders to run their EAs, even when their computers are turned off. Trade execution is also better through a VPS and indeed, MultiBank Group do have a VPS offer in their trading tools section. In addition to the above, the brokerage boasts superb paid up capital (to the tune of some $322 million), and – to eliminate possible conflicts of interest – it features an Automatic Trading Desk. Price making is accomplished through 20 top tier banking institutions, 12 exchanges and 6 ECNs. The group of corporate entities which make up the Multibank Group is licensed and regulated on 5 continents. Perhaps the most prestigious and exigent regulatory authority which signed off on the continued activity of the brokerage, is Australia’s ASIC. In addition to that, Germany’s Federal Financial Supervisory Authority (BaFIN) has also granted its approval, in the shape of a license. The Cayman Islands’ Monetary Authority and the FSC of the British Virgin Islands have also granted MultiBank Group licenses. In this regard, MultiBank Group’s status is indeed quite enviable in industry circles. Regulation is certainly a big deal, and regulatory compliance is the only way forward for any serious operator these days. In regard to the account types offered, MultiBank Group haven’t really gone overboard. According to their business model, the basic trading conditions are determined by the platforms their traders choose anyway. In regard to account types, they have the regular Live (real money) account, which gives traders access to all the platforms they have on offer. To sign up for such an account, traders have to choose the company they wish to trade with, they have to pick a platform and they have to fill out an application form (available at the MultiBank Group website) which they then have to send in through email. Only after their applications are approved, can traders proceed to make real money deposits with the broker. The said application form is available in simplified and detailed versions. To access the Demo Account (which features some $100,000 in virtual funds) would-be traders have to fill out a simple online form only. The Demo Account provides access to all the trading platforms and the full suite of technologies offered by the broker. The Swap Free accounts feature a number of swap free pairs, which are only available through the Turbo Meta platform. While at first glance, in this regard, the brokerage seems to be on the stingy side, that is hardly the case. Traders who open a new account at the brokerage are rewarded with a 15% match bonus on their deposits. In case you are thinking this doesn’t seem particularly generous, please remember that the sums serious traders deposit are quite significant and that even this 15% can mean a massive amount. The bonus is capped at $30,000. The bonus money can be withdrawn in batches of $1,000 for every 200 round-trip traded lots. The bonus deal is only available through Mex Clearing Ltd and Mex Australia. The bonus is offered through the Multibank and the Pure ECN Pro platforms. In addition to this real money deal, MultiBank Group also has some extra value in store for users of Demo Accounts. On December 11, 2017, a Demo Account race has kicked off, which is set to last 6 months. Every promotional round is 1-month long. The round winners get to take home $10,000, while the runners up are rewarded with $3,000. Third place finishers get $2,000. The overall winner of the promotion, he who turns in the best performance over the entire promotional period, wins a brand new Mercedes Benz E-class car. The MultiBank Group platform offer is based on MT4, as said above. 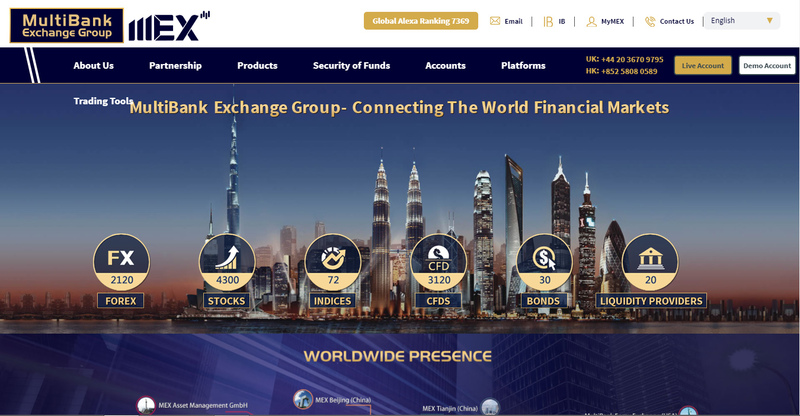 The Multibank Platform is focused on providing the best possible prices and quality execution, drawing information from ECNs, banks and exchanges. The technology powering this platform is said to be a true ground-breaker and game-changer. The ECN Pro platform is where the spreads are the smallest. The EUR/USD pair carries spreads starting at 0.2-.03 pips. EA use and scalping is allowed without restrictions for premium traders. While the spreads are almost non-existent, this account does in fact carry commissions. The Multibank MT4 account is EA-ready as well. It features slightly bigger spreads and smaller commissions. Maximus MT4 and Turbo Meta MT4 are the right accounts for those looking for commission-free action. Both accounts feature scalping and restriction-free EA use. MT5 is the cherry on top of the MultiBank Group platform cake. MT5 makes it handier for those so inclined to build their EAs and their custom indicators. 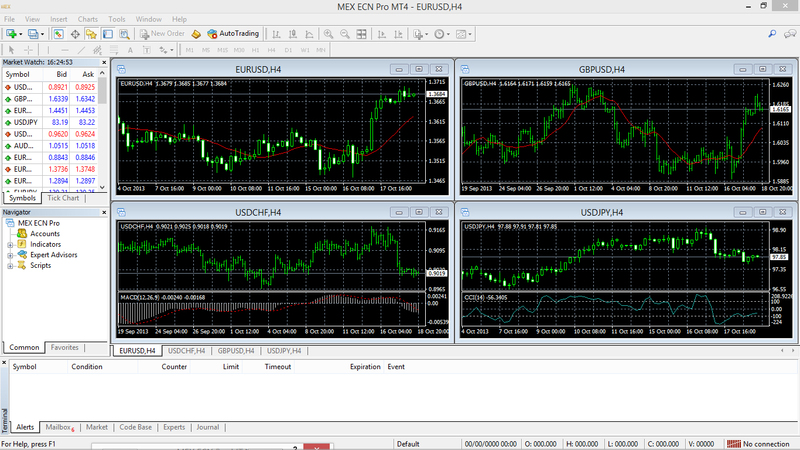 MT5 also delivers improved trading functionality. Besides the above described options, MultiBank Group also feature mobile trading platforms for iOS and Android-based devices. Everything accounted for, MultiBank Group is indeed a broker which is obviously not your average online trading destination. It comes with a superb regulatory profile, it offers a great platform selection and excellent trading conditions. In this regard, there are so many options available that everyone is guaranteed find a setup that suits his/her style perfectly. The trading product selection of the operator is outstanding as well: being called one of the top providers of financial derivatives in the world, is certainly not baseless in MultiBank Group’s case.